This course prepares students for employment in the highly specialised security industry. It provides students with an introduction to the different sectors within the security industry in Ireland. Throughout their period of training, students complete work placements with recognised security companies at music concerts, sporting events and other public events. This course is of particular relevance to students who are interested in a career in An Garda Síochána, the Defence Forces, Prison Service or Emergency Services. This course involves a focus on the academic skills required for a career in the security sector. This course has been designed to meet the needs of the security industry in line with the terms of the Private Security Services Act 2004. This course is of particular relevance to students who are interested in a career in An Garda Síochána, the Defence Forces, Prison Services or the Private Security Industry. 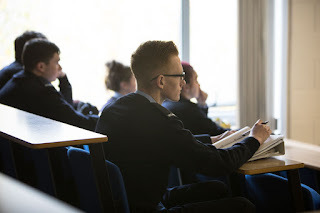 At Cavan Institute: Graduates of this course may progress to a level 6 course in Security Operations and Administration (Supervisory) available at Cavan Institute.